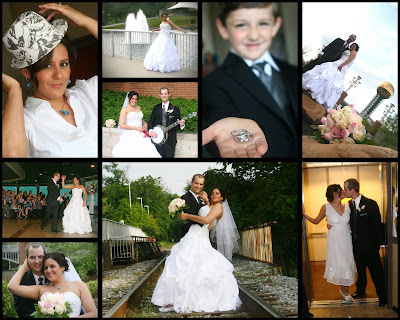 Angie and Ryan were married at the Sunsphere and had the reception there as well. This wedding was full of wonderful non-traditional surprises. It was a standing wedding, cakes on each table, the cake topper was custom to their personalities, which is knitting for Angie and the banjo for Ryan, which he played as she walked down the aisle with her father. We also had photos with the banjo and knitting needles and yarn with the rings instead of flowers - how great!! She wore dance slippers instead of heals and I never heard once about her feet... that is different for sure. I will say their friends and family were all wonderful, and the day was just fabulous. A gorgeous wedding. Thank you for having me be a part of it!